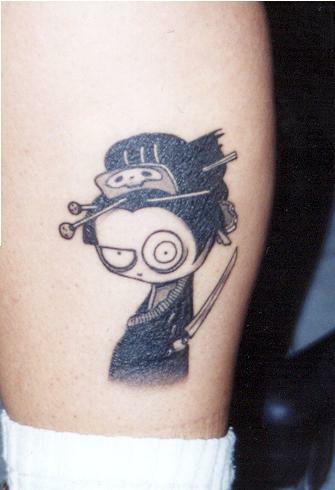 This tattoo features an unknown cute character, with crazy eyes and a knife hidden behind her back. Scary? Kind of. Kawaii? Definitely!